A coroner has questioned if Amber Peat's trust had been breached in the months leading up to her death by her teacher being advised to relay her concerns to her parents. The inquest at Nottingham Coroner's Court has heard how Amber's case slipped through the net after she moved with her family to Mansfield. Sharon Clay, Amber's key worker at Queen Elizabeth's Academy in Mansfield, had suspected she was being emotionally abused by her stepfather Danny Peat. Amber told teachers she had been punished by being made to complete jobs, such as washing the floor until 1.30am, had been humiliated by being made to wear baggy jogging bottoms to school for forgetting to put her trousers in the wash and made to carry school books in a carrier bag. The inquest has head she was always hungry and had lost weight. On March 16 2015, her then form teacher had contacted Nottingham Multi- Agency Safeguarding Hub with her concerns. Joanne Shepherd, the officer who took her call, said Laurinda Bower, Nottinghamshire assistant coroner: "It would be something we would consider, we would need more context for it to amount to emotional abuse. " She asked a social worker who advised her to tell the teacher to contact Amber's parents. The MASH officer said: "The social worker advised we couldn't take it for referral without asking her mum first to gain parental consent." The coroner asked what the potential impact would have been on Amber if her concerns had been reported back to her parents. She said: "What from your experience in the police do you think could be the impact in breaching her trust by relaying her concerns to her family?" Miss Shepherd said there had been nothing to suggest Amber was at risk of significant harm. She said: " In the view of MASH it is better for someone who had a relationship with them to do it rather than a social worker". The teacher had thought unable to challenge Amber's family who gave a different account of what had happened. No further action had been taken. 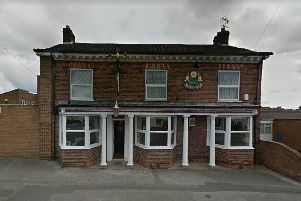 Elizabeth Fisher, another MASH officer, earlier told the inquest she had taken a call in Derbyshire in September 2014 from Karen Green, Queen Elizabeth;'s vice-principal Karen Green, who had asked for advice following information passed to her by her previous school in Tibshelf. There was no record on the MASH system of this as the threshold for level four for child protection intervention was not met. Miss Shepherd said, if she had been aware of the concerns about Amber including running away from home and her stepfather's mental health issues: "I am pretty sure it would have been put forward for referral."